Having suffered a PR battering from viral video clips showing its soldiers in an unflattering light, the Israel Defence Forces are firing back with a combat camera unit trained to show their side of the story. The first round of graduates - all combat soldiers - have completed a seven-month training programme before joining front-line units. Private Ido H, one of the new "selfie squaddies", has trained for more than a year as a combat soldier and videographer. He can film, edit and broadcast from the battlefield. 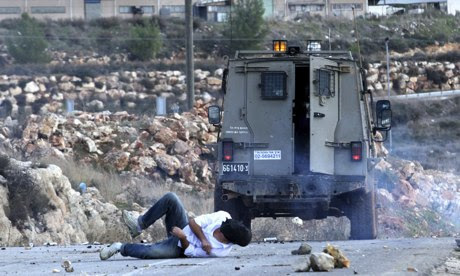 In recent years, cameras wielded by human rights groups have focused unwelcome attention on the IDF. The Israeli human rights group B'Tselem has distributed cameras to Palestinians and collected hours of footage documenting life under occupation. Palestinians say they are sometimes the only effective weapon against an army equipped with tanks and fighter jets. But the IDF says videos can be tendentious. In July, human rights groups assailed the army over film of a five-year-old boy and his father being arrested and blindfolded after he threw stones at Israeli cars in Hebron. The army argued the editing failed to show what they described as an hours-long effort to return the boy safely to his family via the Palestinian police. Major Micha Ohana, the new unit's commander, denied his soldiers were being trained in disinformation. "If there are errors or other things we will present them and if necessary we will apologise or explain. But of course we won't blur, or lie or say they didn't happen," Ohana said. B'Tselem welcomed the new unit. "More documentation is a very positive thing," said B'Tselem spokeswoman Sarit Michaeli. "There are a lot of arguments about the facts of various incidents. The problem is that the army doesn't release this footage and when it does, it releases very heavily edited sequences." "I feel that my camera can stop some of the violence," said Haitham Katib. "If the soldiers see you filming, they stop their violence. Sometimes they broke my camera. They stopped me filming many times. They shoot me sometimes with rubber bullets. But 70% I believe my camera has stopped the violence." מרבית המבקרים בכנסיית המולד בבית לחם שמים פעמיהם ישר למערה שמתחת למזבח, שבה, על פי המסורת, נולד ישו לפני 2014 שנים. קארן סטרן, היסטוריונית מברוקלין קולג' שבניו יורק, שבאה השנה למקום בגל המבקרים שלפני חג המולד, נראית כעוף מוזר בכנסייה. בשונה מאחרים, היא מתעניינת יותר בעמודים שגובהם שישה מטרים, ותומכים בתקרה אותה בנה הקיסר יוסטיניאנוס במאה השישית לספירה. הפנס של סטרן מאיר באפלולית מאות צלבים קטנטנים החרוטים על פני ארבעה טורי עמודים, אשר למרבה הפלא לא משכו את תשומת לבם של החוקרים עד לתחילת שנה זו. זוהי מלאכתם של צליינים, שביקשו להותיר את חותמם על מקדשי הנצרות שנים רבות לפני שאמן הרחוב בנקסי הפך את קירות בית לחם לרקע לאמנות רחוב ברמה בינלאומית. במבט מקרוב, שכן הסימנים כמעט בלתי נראים על רקע האבן האדומה זרועת הנימים הלבנים, ניתן לראות מאות כתובות דיו המכסות את העמודים מהקרקע ועד לגובה ניכר. "במערב רואים בכתובות קיר סוג של השחתה", אומרת סטרן, שחקרה כתובות במקדשים שונים במזרח התיכון. "הכתובות במקדשים ובאתרי הצליינים הן תופעה שונה לגמרי. אנשים מותירים סימנים ומסרים בתקווה שאלה יועברו לעיניהם של ישויות אלוהיות או קדושים, ולעיניהם של מאמינים אחרים", היא מסבירה. לדבריה, "זה מנהג מקובל ולגיטימי, ולא ונדליזם. אנשים כותבים 'זכור אותי' במקומות קדושים, כך שכתובות הקיר האלה מבטאות אמונה דתית", הוסיפה. החלק העליון של העמודים מכוסה בציורים של ישו, של המשפחה הקדושה ושל קדושים שונים שצוירו בתקופה הצלבנית. מתחת לבתולה גליקופילוסה ולציור של מרים וישו העולל משנת 1130, הותירו צליינים מימי הביניים דיוקנאות של עצמם בשעת התפילה. הצלבן הצרפתי לורד דה קרוסי לא הסתפק בכך, ואף צייר את שלט האצולה של משפחתו על אחד העמודים במאה ה–12. ליסה מאהוני, חוקרת אמנות ימי הביניים באוניברסיטת דה פול שבשיקגו, רואה קשר בין הציורים בני מאות השנים בחלקם העליון של העמודים לבין כתובות הקיר בנות זמננו. "המבקרים במקומות מעין אלה, בכנסיה המציינת אתר שבו התרחש אירוע קדוש, מוצאים משמעות מיוחדת בהותרת זכר לביקורם במקום", אומרת מאהוני. "זה המקום שבו האלוהי נכח בעולמנו, ולכן זה מקום מיוחד ליצירת קשר עם האלוהות. מקום שבו התקיים מפגש אמיתי בין הארצי לאלוהי". למרות שיצירות הצלבנים על העמודים תועדו על ידי היסטוריונים, כתובות הקיר לא זכו עד כה להתייחסות. שטרן סבורה שהן מתעדות את חייהם ומנהגיהם של אנשים פשוטים, שזכרם לא נרשם בדפי ההיסטוריה. "נותרו כאן קולות קטנים מהעבר, שהיו נעלמים לגמרי לולא הכתובות הללו", היא ציינה. The Israeli prime minister Binyamin Netanyahu will link the release of former US naval intelligence analyst Jonathan Pollard, convicted of spying against the US for Israel, to progress in the US-sponsored peace talks with the Palestinians, Israeli media reported on Tuesday. The reports said Netanyahu would either demand Pollard's release whenIsrael signed a framework agreement, or as part of a prisoner exchange involving Arab citizens of Israel held for terrorist offences, who have always been excluded from previous agreements. Netanyahu's office declined to confirm or deny the story, which was reported by most of Israel's most well-informed diplomatic correspondents – a favoured method of leaking sensitive information. Netanyahu appeared to be responding to mounting pressure following revelations that Britain's GCHQ and America's National Security Agency had targeted then Israeli prime minister Ehud Olmert, his defence minister, Ehud Barak, and Barak's chief of staff. Pollard was imprisoned in 1987 and has served longer than any other spy captured in the US. Repeated Israeli requests for his release have been ignored, although they have lately been joined by top US officials responsible for his prosecution, including Lawrence Kolb, deputy to then US defence secretary Caspar Weinberger. "We ask that you seriously consider the requests that there have been from top current and former American officials and release Pollard on humanitarian grounds," said a letter to The US president, Barack Obama, signed by more than 100 Israeli MPs and ministers ahead of a special session in the Knesset on Wednesday. "It's a matter of justice," said the deputy defence minister, Danny Danon. "The Americans can't come to us asking for more and more while Pollard remains in prison." Gilad Shalit, the Israeli soldier released in a prisoner swap in 2011 after being held for five years by Hamas, added his moral weight to the campaign and called on "our American friends" to release him. "After Israel released terrorists with blood on their hands as a gesture to the Palestinians – this is an appropriate reciprocal gesture," Shalit wrote in a national newspaper column. However, some close observers of the tangled web of US-Israeli relations warned that the latest leaks might be designed more for domestic consumption as Netanyahu grapples with the fractious right wing of his party ahead of next week's planned prisoner release against a background of scattered but increasing Palestinian violence. "There are so many difficult issues right now on the agenda between Obama and Netanyahu that to add Pollard to that with all of the baggage that it carries is not likely," said Professor Gerald Steinberg of Bar-Ilan University. 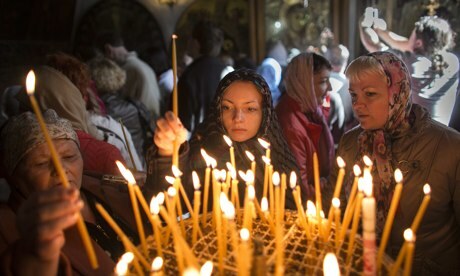 Italian craftsmen have begun urgent repairs to the centuries-old roof of the Church of the Nativity in Bethlehem, first constructed in the fourth century over the grotto where tradition says Jesus was born 2,000 years ago. 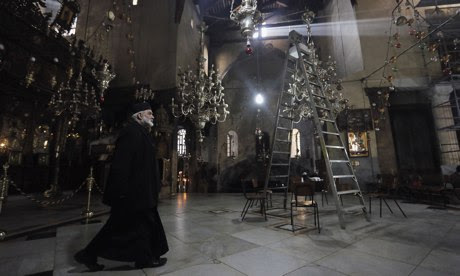 "Water leaks, earthquakes and incidents that happened here in Bethlehem had a negative impact on the whole structure and especially on the roof of the church," said Ziad Bandak, head of the Palestinian committee overseeing the work. "The leakage of the water affected the structure, the wood, the walls and the frescoes and mosaics inside." 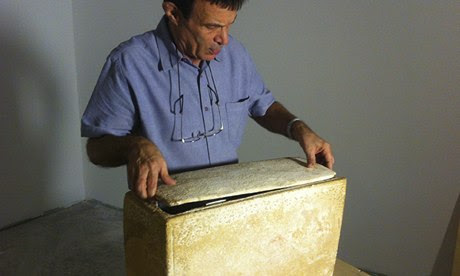 Marcello Piacenti, head of the family business that has been lovingly restoring the ancient shrines of Europe for six generations, said he was honoured to have won the international tender issued by the Palestinian Authority to repair crumbling pine and cedar timbers up to 800 years old and a lead roof donated by Edward IV of England in 1479. "It's very emotional to work here," Piacenti said as his experts applied protective gauze to a gold-leaf mosaic of an angel high in the rafters above the sixth-century nave constructed by the Emperor Justinian, and technicians probed deep into the thick wooden trusses to check for hidden damage. "This ancient structure has withstood the centuries and we hope to make our contribution to its continuing presence here." 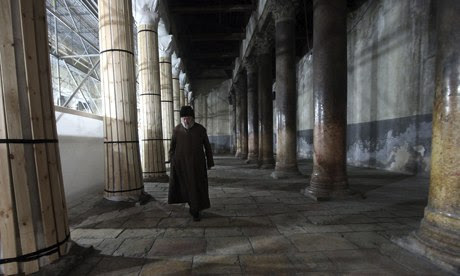 The leaky roof has sparked regular clashes between mop-wielding monks from the Greek Orthodox, Armenian and Catholic churches over who has authority to clean which parts of the shrine shared between the three denominations under a brittle arrangement known as the status quo. The water damage has also harmed many of the wall frescoes and mosaics that date back to Crusader times and beyond. 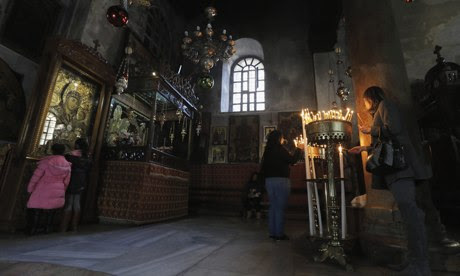 In 2009, the Palestinian president, Mahmoud Abbas, fearful that the church might collapse, issued a decree to repair the building that the warring parties that run the church finally accepted. But despite being declared a Unesco heritage site in 2012, the Palestinians were able to raise only €2m of the €15m (£12.5m) required for the full renovation of the building. In this first phase, expected to last until next September, Piacenti's men, together with five Palestinian colleagues, will repair or replace the roof lead and timbers and the church's 18 upper windows. "After we have stopped all the water leakage I hope it will be possible to begin restoring the other materials," said Piacenti. "There are many angels up here. I hope we can save them." The Israeli prime minister Benjamin Netanyahu has broken his silence over revelations that British and US spy agencies had targeted one of his predecessors, condemning the activities as “unacceptable”. Papers leaked by Edward Snowden, and published by the Guardian on Friday, revealed that GCHQ in association with the National Security Agency had targeted an email address used by the Israeli prime minister when Ehud Olmert was in office. Three further Israeli targets appeared on GCHQ documents, including another email address understood to have been used to send messages between the then Israeli defence minister, Ehud Barak, and his chief of staff, Yoni Koren. 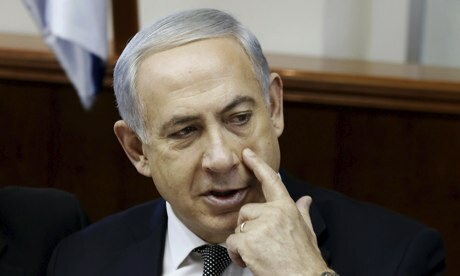 Netanyahu had pointedly avoided addressing the growing storm at a meeting of the Israeli cabinet the previous day, prompting widespread media comment in Israel that he was attempting to stifle discussion on the embarrassing revelations about the behaviour of Israel’s closest strategic ally. Israel has given undertakings not to spy on the United States since the arrest and life imprisonment of US naval intelligence analyst Jonathan Pollard in 1987 for spying on behalf of Israel. Netanyahu and other Israeli leaders across the political spectrum, as well as senior retired US security officials, have unsuccessfully petitioned successive presidents to release Pollard, who has served a longer sentence than any other spy in the US. Although Netanyahu repeated his claim on Monday that the two matters should not be connected, he pointedly met with Pollard’s wife Esther in Jerusalem and posted a video of their handshake on his YouTube channel in response to a new groundswell of protest demanding Pollard’s immediate release in light of the latest revelations. “I have met with Esther Pollard and updated her on our ceaseless efforts to liberate Jonathan. He should have been released long ago. I think that’s understood by everyone here, and also understood by large and growing sectors in the United States,” said Netanyahu. Israel and the US are locked in sensitive diplomatic manoeuvring around the peace talks with the Palestinians. This new issue could not have arisen at a worse time. Several Israeli ministers had already broken ranks and protested publicly about NSA surveillance. Israeli anger at the US was exacerbated by a report in Yedioth Ahronoth, the country’s largest-selling newspaper, that a US marine rented an apartment in June 2009 directly opposite the private home of Ehud Barak, a former prime minister and military chief of staff who was then Israel’s defence minister. “Israeli intelligence detected sizeable amounts of electronic equipment delivered to the US-rented apartment,” Yedioth reported, together with diagrams of the sophisticated laser spying devices that might have been used to eavesdrop on Barak’s private conversations via the vibrations of the windows of his home. Strategic affairs minister Yuval Steinitz and other officials said the NSA and GCHQ would have learned little of value from the email addresses and phone lines they apparently intercepted, which were publicly listed contact points and not used for the transmission of sensitive information. Oved Yehezkel, a former military intelligence officer who was cabinet secretary to then prime minister Olmert, said it was assumed that communications between Israeli leaders were being monitored by their closest friends in Washington. “Of course we knew. Anyone who thinks that friends and allies don't spy on each other should re-read John le Carré,” Yehezkel said. Chinese Foreign Minister Wang Yi has left Israel and the West Bank to continue his tour of the Middle East. His next stop will be Algeria. During the past few days, Wang met leaders from both Palestine and Israel to boost the peace process. China’s Foreign Minister, Wang Yi, has ended three days of meetings with Israeli and Palestinian leaders, just days after telling a symposium on foreign affairs that China was conducting its diplomacy across the world with a broader vision and more enterprising spirit to make a greater contribution to world peace and stability. In Ramallah, he threw Chinese support firmly behind the peace talks between Palestine and Israel. "War does not solve the problems. Violence increases the hatred. The peace talks are the appropriate and the only path," he said. He celebrated 25 years of official Chinese-Palestinian relations and pledged Chinese support for training and infrastructure projects. In Jerusalem, Minister Wang told Israeli technology executives to imagine a car built with a Jewish brain and a Chinese engine. And he told Israeli President Shimon Peres that Israelis must work for peace. "Peace needs to be made through taking initiative and will not happen on its own. Peace needs be won with hard work rather than waiting," he said. But the Palestinians are hoping that China’s interests extend beyond economics. 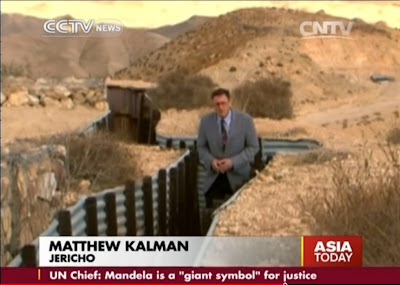 "China is interested in seeing the peace process successful, meeting the demands of the Palestinian people. Thus far the role of China in the peace process is not wide. We hope it will be increased because to us China will play a balancing role at least to counter the biased, double-standard role that the Americans keep in this Israeli-Palestinian conflict," said Abdullah Abdullah, Fatah Deputy Int'l Commissioner. One of the major projects being financed by the Chinese government is the new $4m Palestinian Ministry of foreign affairs being constructed here in Ramallah. Palestinian leaders are hoping that this visit from the Chinese foreign minister will mark the beginning of a new phase, not just in support for Palestinian diplomats but also support for Palestinian diplomacy. Chinese Foreign Minister Wang Yi is in Jerusalem to begin three days of meetings with Israeli and Palestinian leaders before continuing his tour of the Middle East. China’s Foreign Minister Wang Yi arrived in Tel Aviv on Tuesday for a three-day visit to Israel and Palestine - the first visit by such a senior Chinese official since 2009 - almost as rare as the raging snowstorm that has paralyzed Jerusalem and Ramallah for most of the past week. High on his agenda with Israeli leaders are the soaring trade relations between Israeli and China, which have grown in the past 20 years from $50 million to more than $8 billion a year. China is a major consumer and investor in Israel’s fast-growing high tech industry. Israeli technology is also helping to solve China’s problems with water, waste and agriculture. The largest water desalination plant in China was built by an Israeli company. "Israel and China are complementary economies. China has the market. Israel has the technology. Israel has the sophistication to bring China to a more modern more developed economy. That’s exactly what China lacks. It’s the edge that Israel is able to offer China." said Aurora Colson, Israel-Asia Investment Analyst. While the United States has long been involved in the Middle East, some analysts are asking whether Beijing will also raise its diplomatic profile on such issues as the Iranian nuclear program and the Israeli-Palestinian peace process. Dore Gold, Israel’s former ambassador to the United Nations, is one of many high-ranking Israelis who have made semi-official visits to Beijing recently to seek a common language on the region’s strategic issues. "I would expect that China could play a greater role in the Middle East but I’m not sure China is coming to replace the United States. It’s my understanding that what’s most important for China is a stable Middle East. With China drawing so much of its energy and oil from this region, I’m sure they would like to contribute to a strategically balanced Middle East." said Dore Gold, President, Jerusalem Center for Public Affairs. This rare visit by the foreign minister comes just as Jerusalem is recovering from its worst winter storms in 50 years and all sides hope that it’s a sign of the increasing thaw in relations between the two countries. U.S. Secretary of State John Kerry has returned to the Middle East where renewed peace talks between Israelis and Palestinians have made little progress after almost two dozen meetings. US Secretary of State John Kerry returned to the Middle East on Thursday for the eighth time this year, shuttling between Jerusalem and Ramallah in yet another effort to push forward the Israeli-Palestinian peace talks which appear to be stalled after 20 sessions. High on this morning’s agenda with Israeli Prime Minister Benjamin Netanyahu was a security plan for the West Bank drafted by General John Allen, former commander of US forces in Afghanistan. "Israel’s security is fundamental to these negotiations... This morning Gen Allen and I provided Prime Minister Netanyahu and his military leadership with some thoughts about that particular security challenge," said Kerry. "Israel is ready for a historic peace, and it’s a peace based on two states for two peoples. It’s a peace that Israel can and must be able to defend by itself with our own forces against any foreseeable threat," said Netanyanhu. Despite Kerry’s public commitment, analysts say Israeli leaders feel betrayed by the Geneva deal over Iran’s nuclear program and no longer trust the United States to put Israel’s security at the top of the agenda. "Israel is very concerned about security issues. The United States is in no position now to reassure Israel that it will protect Israeli security after what happened in Geneva. We’re talking primarily about the area of the Jordan Valley the border with Jordan. Israel is very reluctant to give up that territory because there are no international guarantees, so there’s going to be a lot of scepticism over whatever Kerry brings," said Gerald Steinberg, Bar-ilan university. This Israeli fortified position helps them keep control over the Jordan Valley and Jericho behind me where the peace talks have been held for the last few months. And it’s precisely control of this area that has become one of the major sticking points during the peace talks. Now the United States is presenting a new security plan designed to solve precisely that problem. In Ramallah, Kerry had to convince the equally sceptical Palestinians that Israel really is serious about helping to create a viable Palestinian state while it continues to build settlements on the West Bank. Kerry remained optimistic but in a gesture that spoke louder than words, Palestinian President Mahmoud Abbas did not emerge to speak to reporters after the meeting. "I don’t think people should fool themselves. There is no peace talks. There are meetings searching for formulas and the real negotiations are between Israelis and Israeli negotiators on what the best formula for security and economy and for containment of the Palestinians. Everybody knows that Mr Netanyahu is not going to deliver, everybody is expecting to maintain the status quo as is," said Dr. Mahdi Abdul Hadi, Palestinian Academic Society for the Study of Int'l Affairs. Despite the scepticism on both sides, Kerry hopes that the talks in Jericho can dissipate the dark clouds of conflict that have hung over this region for generations. JERUSALEM, Dec. 6 (Xinhua) -- U.S. Secretary of State John Kerry returned to the Middle East this week for his eighth visit this year trying to save the stalled talks, but analysts here predict slim prospect for his fresh efforts. The current Israeli-Palestinian talks began in July but appeared to be stuck after 20 sessions in Jerusalem and the West Bank city of Jericho, half-way through the nine-month time frame agreed with the Americans. At least one recent negotiating session has been cancelled. One of the two main Palestinian negotiators, Mohammed Ishtayeh, has resigned, saying the gaps between the two sides block any chance of reaching a peace deal. But Kerry remains optimistic, declaring that he perceives "some progress" where others see very little. While the core issues of refugees, borders, settlements and Jerusalem remained firmly unresolved, Kerry set out to demonstrate U.S. resolve on one practical issue by presenting a plan for future security arrangement drafted by General John Allen, the former commander of U.S. forces in Afghanistan. The plan was designed to meet Israeli demands that the Jordan Valley would not become a porous route for militants entering the West Bank via Jordan, while allaying Palestinian fears that satisfying Israel's security needs effectively meant Israel's continuing occupation of the West Bank. Analysts, however, said there will be little chance that the security plan presented by Kerry is well received by both sides. 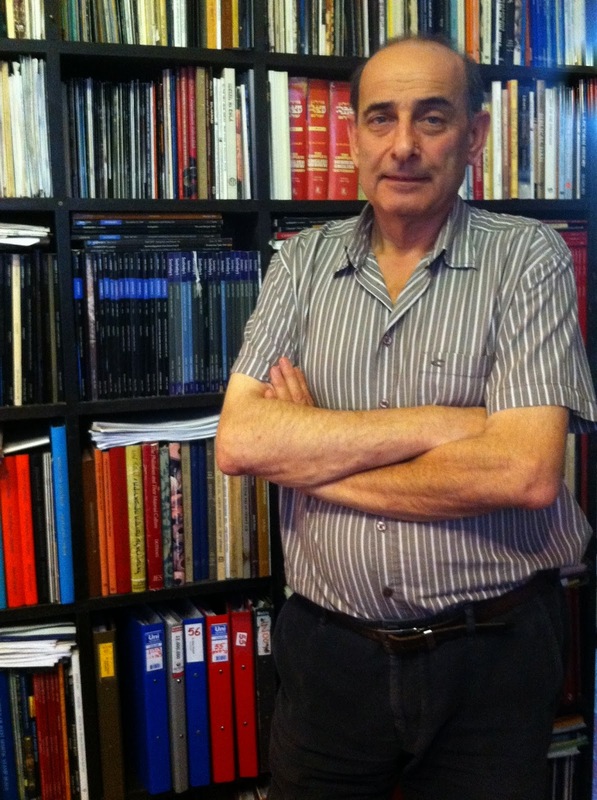 Dr. Gerald Steinberg, professor of political science at Bar- Ilan University, said Israelis were dismayed by what they believe was Kerry's eagerness in Geneva to accept "a bad deal" over the Iranian nuclear program and had no intention of accepting U.S. promises when it came to the security of Israel's eastern border. "Israel is very concerned about security issues," said Steinberg. "The United States is in no position now to reassure Israel that it will protect Israeli security after what happened in Geneva, so the talks were in crisis before they started and there's no public indication that there is a package on the table. " "We're talking primarily about the area of the Jordan Valley, the border with Jordan. Israel is very reluctant to give up that territory without international guarantees, so there's going to be a lot of skepticism over whatever Kerry brings," he said. From the Palestinian point of view, Kerry's plan seems to favor Israeli security needs over the basic Palestinian demand that the occupation of the West Bank must come to an end, and soon. "What we are witnessing today is a security arrangement proposed by the Americans, focusing on security which is the Israeli obsession," said Dr. Mahdi Abdul Hadi, chairman of the Palestinian Academic Society for the Study of International Affairs. "Israelis are searching for the best formula for security, which means the containment of the Palestinians in cantons. In line with this, here come the Americans with formulas for security like John Allen's formula now with early-warning stations on the West Bank and full Israeli control of the Jordan Valley, maintaining Israeli control of Area C and again containing the Palestinians." As part of the 1993 Oslo Accords, the West Bank was divided up into three administrative regions: Areas A, B and C.
According to these interim accords, Area C, which makes up 60 percent of the West Bank and contains all the major Jewish " settlement blocs," is under full Israeli civil and security control. Both Steinberg and Abdul Hadi agreed that the talks have achieved very little so far on any of the key issues. "Frankly, the Americans have not done anything to try to resolve those issues because they don't really understand how to deal with them," said Steinberg. "I don't think people should fool themselves. There are no peace talks. There are meetings searching for formulas," said Abdul Hadi. The Palestinians fear that the U.S. strategy is to normalize Israel's relations with the Arab world without securing full Palestinian statehood. "Washington comes with a serious message to the Israelis to get out of the military ghetto, to normalize its relationships with the Gulf States and the Arab countries. They want to stop Mr. Netanyahu from spoiling this kind of game," said Abdul Hadi. 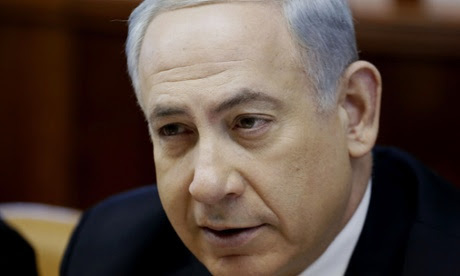 "Everybody knows that Mr. Netanyahu is not going to deliver. Everybody is expecting to maintain the status quo as is," he said. But Steinberg disagreed, saying that Netanyahu was determined to move forward on the Palestinian issue, even if he could not fully satisfy Palestinian aspirations for a completely independent state on all of the West Bank. "My guess is that after nine months, if there's no framework for agreement, there may be Israeli unilateral moves," said Steinberg. "The Israeli government under Prime Minister Netanyahu does not want to see this situation stay at the status quo as it's been since 1967." Israel will probably take some moves to change the boundaries even if there's no agreement, he said, adding that there will be more territory for the Palestinians, less Israeli involvement except in security issues. "They are going to take unilateral moves, perhaps like what happened in 2005 when Israel withdrew from Gaza. The only difference now would be that Israel would not withdraw its military presence from vital areas of the West Bank," he predicted.